Hi friends, thanks for returning today. I know it's a little late in the afternoon so we'll sit closer to the building. 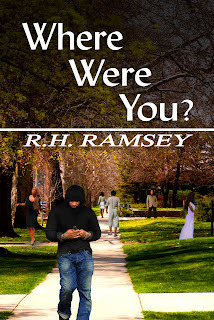 Grab a seat, kick off your shoes and join me in welcoming author Rhonda Ramsey. 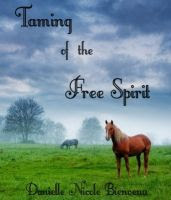 Rhonda is a new author who enjoys breathing passion and life into each character she creates. Rhonda has completed eleven novels, has four novels near completion and five short stories. She is also a military wife, mother of two and student. Over the course of seven years, Rhonda has diligently researched topics ranging from but not limited to: relationships, addiction, abuse and mental illness. With a passion for people, helping and learning, Rhonda’s zeal for inspiring others through writing has also expanded to freelance writing. We have also decided we would pool our need for writing together and write a children’s picture book. I am truly excited about this venture. Don't worry you will hear more about it. She hopes to continue in her quest of learning from and inspiring others. Let’s get started. Hi, Rhonda let’s start with my favorite question. When did you start writing, and what did you write about? I started writing and completing novels in my late teens. I began storytelling in elementary school. I have always been very passionate about what people were thinking, feeling and most of all: our journeys as human beings. I remember being a small child, creating very vivid, stories with my dolls (yes dolls). Everything you could possibly imagine, I spent hours telling the story. There was always a plot, dialogue, trials and tribulations for my “characters.”Believe it or not, even in second grade, I created stories about things that I, as a child, had no idea where this stuff came from. I had empathized and became drawn into giving these “characters” a voice. When I started writing, I focused a lot on dialogue. (I still do). Now, I am very focused on my antagonist. I am very focused on what the characters are feeling, and I am also learning new things almost daily about the art of grammar/punctuation. 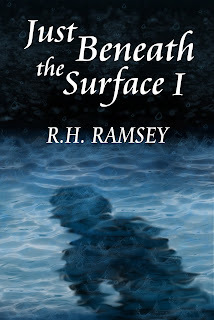 Just Beneath the Surface I is about domestic violence. I wanted to tell this story because my heart goes out to women who are abused, and deal with criticism from society and their own loved-ones. Where Were You? Is a tale of several troubled characters, whose lives entwine. The main character, Christian, is a young man who feels as though his world has collapsed as the people he needs most always seem to abandon him. I wrote this novel, because it deals with very real issues: drug abuse, neglect, misunderstanding love and mild sexual abuse. I gave these characters very real voices, real trauma, real fears and very touching stories. I am preparing Just Beneath the Surface II, Into the atmosphere: Finding Peace and I Am Special Because I am Ty (children's pic. book). I will start with Into the atmosphere: Finding Peace. 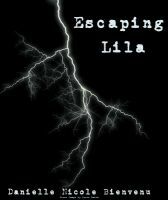 I am finished writing, editing and will be putting this book into print in August (2012). I wrote Into the Atmosphere: Finding Peace because as a deeply spiritual woman, wife and mother, consistently seeking knowledge, wisdom and success, I often forget about peace. I began to write about the things we forget to release, the things we forget to give to God, the ways we hinder our journeys by carrying things that do not belong to us. 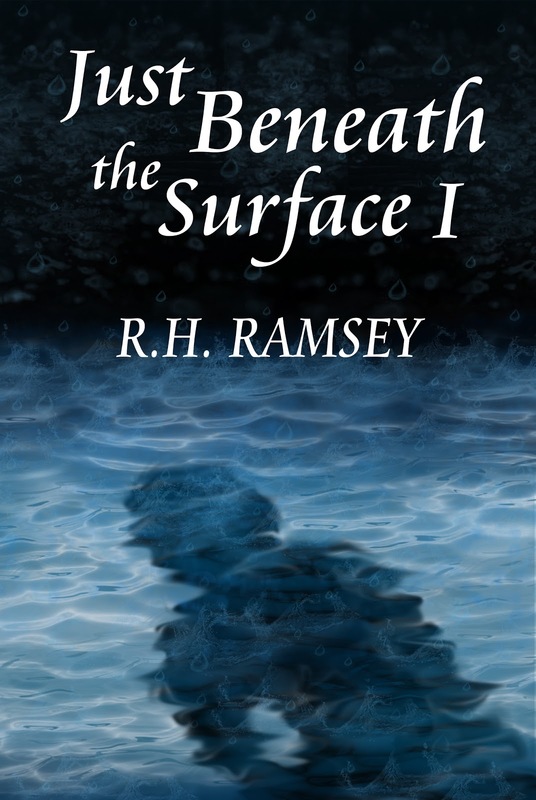 Just Beneath the Surface II is a novel where new characters confront what has been buried and slowly coming to light. The main character, Landon, is carrying a very heavy secret, and in the book the control he has over himself and others unravels before his eyes. I wrote this book to show the ways we, as human beings, self-destruct by carrying things and burying things when we are not equipped for this; we have to release our burdens and pain. Mine, also. I like reading the writing process of authors. The ideas, characters, dialogue and plot literally pop into my head; I can see them so clearly it's almost like a dream. And no, I rarely plot and plan. I start with a point I want to convey, I write about a character who is no different from you or I, and I normally name the book and write the first chapter last. (All of this while working on editing other books, because focusing on one thing at a time has always been a serious struggle for me … blessing and a curse). When I get writer's block, I sit down and write chapter to chapter. I do not always use those ideas, but they help me to get back into my characters' “heads.” I’m having a bit of a hard time marketing my books. What are your techniques and do you feel they are working? It's so difficult, isn't it? The only tips I have are joining forums, getting active in twitter (lots of valuable information) and to remain humble and realistic – especially when you are new. Again, I am new, and I am constantly researching and honestly I do not know if the things I do will bring me success – I mostly hope to touch, uplift, entertain and inspire. I figure if success is meant to be, it will be. All of the stories sound so interesting. Tell the audience where they can purchase your books? I am enjoying the creativity of “character interviews.” I enjoy communicating with my book characters by giving readers glimpses into their thoughts. This is a really interesting way to connect with both protagonists and antagonists. I would hope my characters liked the book. Awesome question! As far as the role of some of my main characters, I believe that they would say that these situations were very raw, and that they (the characters) were very exposed, but found healing through sharing. The hobbies I enjoy are music, deep conversation and anything peaceful. To see How they're spreading the word for Epilepsy Awareness in El Paso, go to Eliana's mom's Facebook page. Thank you for your time, Rhonda,this has been a very lovely day. I hope to see you In The Chair, again. Thanks so much for the interview. I really, really enjoyed these questions. As a reminder don’t forget to Visit Rhonda on all of her sites. herself. Let’s make her feel welcome. 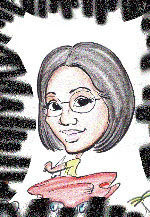 I started in the publishing industry as a developmental editor at Third World Press, Inc. a little over a decade ago. Their focus was nonfiction, so I moved onto freelance editing for several publishing houses. I’m also an avid reader and multi-published, award winning author with fifteen full length novels under my belt. fantastic daughters who have given me the three greatest grandchildren ever. the next thing you know, I’d have a short fiction story based off the event. books, so I’ll tell you the inspiration of the plots for a few of them. foundation of your heart. It’s buried deep in love. messed up with all aspects of life. I’m glad thinks have changed. sons to marry. I know. Not my usual thing, but it just popped into my head. 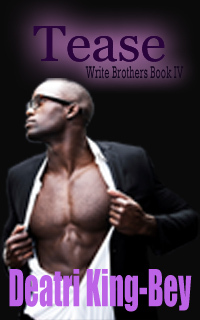 Next thing you know, I was writing the Sons 4 Sale series. if I don’t write them out, they’ll drive me crazy.That's exactly how I feel. Glad its not just me, I thought I had a little issues going on, lol. books? Do the ideas just pop in your head or do you have to plot and plan? me their story and I work as a conduit of sorts. books. What are your techniques and do you feel they are working? readers that are left there don’t even read their genre. seven other authors have reduced the prices of some of our titles. (interviewing) to the people in my books. How do you communicate with your characters? I usually have the characters first, so I just allow them to speak through me. Watching movies. I LOVE the theater experience. I literally get upset when there’s not something new out I want to see. LOL. I understand. This has been so much fun, Deatri. I really enjoyed myself. Deatri’s web page and take advantage of it. Oh and come back on Wednesday when we will have a chat with Tyler Write from the novel Tease. I hear hes a real hottie. Write, has set his sights on her and she’s having difficulty resisting him. This is going to be very entertaining. Hi, thank you so much for stopping by to visit today. I would like to introduce you to the person taking advantage of our new summer studio setup. Her name is Laurie Boris. 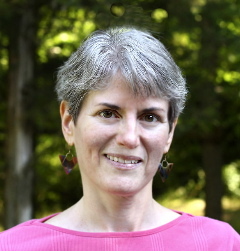 Laurie Boris is a freelance writer, editor, proofreader, and former graphic designer with a long history of ignoring housework and pots on the stove to sneak in “just a few more pages” of her novels. She has had her short fiction published in small magazines and on the Web. 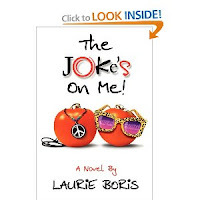 Her first novel, The Joke’s on Me, took an Honorable Mention in the 2012 Beach Book Festival. Drawing Breath, a contemporary coming-of-age novel, is her latest book. When not playing with the universe of imaginary people in her head, she enjoys baseball, cooking, reading, and helping aspiring novelists as a contributing writer and editor for IndiesUnlimited.com. She lives in New York’s lovely Hudson Valley with her husband. So, let's get this started. Grab a cool glass of lemonade, kick off your shoes and let's all enjoy ourselves. Hi, Laurie. Glad you're here. I hear you're having a give away June 29th and 30th. There will be a lot of lucky people having the chance to pick up your book for free. It has some awesome reviews. I started writing in junior high, when one of my favorite teachers encouraged us to keep a journal. I walked onto our back deck and watched the sun set, and wrote about the changing colors. I take myself much less seriously now. I no longer see the world in absolutes, and enjoy all the colors in the crayon box. 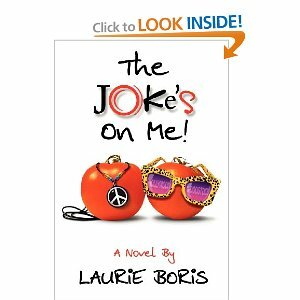 The first book I published was The Joke’s on Me, a light-hearted-but-serious novel about a failed stand-up comedian. After a mudslide destroys her Malibu digs, she leaves Hollywood for her hometown of Woodstock, New York, where an even bigger mess awaits: the family she left behind. I considered self-publishing, but pitched it to a publisher at an online writing conference, and she took a chance on me. I self-published my second novel, Drawing Breath, in May. This story about a teen artist and the teacher she falls in love with is so close to my heart that I wanted to put it out myself. Daniel, the art teacher, has cystic fibrosis, but he chooses to live as fully as he can. Caitlin can only watch as other people, mostly women, treat him like a freak because of his disease, while she sees him for the person and friend he is. Yes, I hear Drawing Breath is having rave reviews. Remember audience, there will be a free giveaway of this book June 29-30. So Laurie, what are you writing about now and why are you writing this book? I’m writing a “tragicomic” novel about a family weathering a crisis. I don’t like to say too much about what I’m currently working on, though. I can understand that. Can't wait to read it. I don't think I've ever heard the term 'tragicomic'. Sounds interesting.Tell me, how do you go about writing your books? Do the ideas just pop in your head or do you have to plot and plan? I’m what they call a “pantser.” No plots, few plans. A character, scene, or situation pops into my head and I follow. For instance, Frankie, the comedian in The Joke’s on Me, just fell into my head one day while I was stuck in traffic in Woodstock. I have a hard time because mine don’t often fit tidily on the shelf. Although I do like social media for getting the word out, including Goodreads and Amazon giveaways. Word of mouth is lovely, as well, and my extended family and network of friends are terrific. 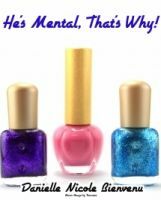 The Joke’s on Me is available on Amazon.com, BarnesandNoble.com or you can order it through the publisher, 4RV Publishing LLC. Drawing Breath right now is an Amazon exclusive. Both are available in ebook and softcover. I talk to them, too! Sometimes in my head, but often I’ll imagine them sitting next to me. I ask questions and write the answers. This works wonders when I get stuck, and feel that I need to get to know a character better. Lol, so true. That's exactly how it works for me.If I were to interview one or two of the characters from your novel what do you thing he/she would say about the role you put him/her in? Do you think they would like the book? Caitlin, my young artist, might be truly mortified. She’s a very private person and I’ve told the world her secrets! Although she might like the book, because she can read about Daniel, what he thinks about and how he paints. I love to read, cook, and watch baseball. The cooking and the reading part I totally understand. Baseball? I love watching the highlights on the internet. I'm trying to get into it because a niece is becoming a champ on her team. I want to thank you so much for spending these minutes with us, Laurie. Good look on your book sales and feel free to come back for a visit anytime. Hi, Readers. Thanks for stopping by. It's a beautiful day outside today so I thought we would have our little chat in the garden. So, grab a glass of lemonade, choose any chair and as usual take a seat and get comfortable. Feel free to take your shoes off. *laughs softly* Wow, you do stay busy and I see our time has run out so why don't we go and mingle with the guest.. But before we sign off, I want to thank you, Danielle for taking time out of your busy schedule to share your life and writing experience with our visitors. Feel free to stop by anytime so we can chat again. Hi, Readers. Thanks for stopping by. As usual take a seat and get comfortable. Feel free to take your shoes off. Today our esteemed visitor is none other than John T. Willis. 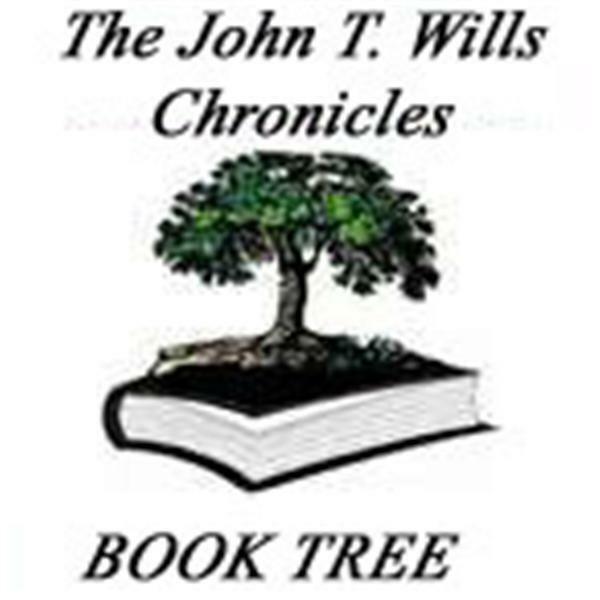 “The Book Tree Radio Show” is the most dynamic, exciting, and the fastest growing Blogtalkradio Show on the air. It is designed to promote literacy, showcase authors, writers, wordsmiths, poets and other relevant content to empower the minds of a broad base community who are interested in a variety of genres, while focusing on intellectually stimulating conversations from the literary community and beyond. Now that we know how awesome you are, tell me something else about yourself? I would say I am a benevolent spirit. I am a man who believes knowledge is power and knowing what to do with knowledge empowers you to achieve all things. I have worked hard trying to achieve things that are supposed to be unattainable. I’ve earned a Master’s Degree in Business Administration, been a professor, a businessman, an author, past officer of several community boards, a volunteer and friend to many. Regardless of the worldly titles given, I prefer to be called a man. How do you feel about the praises bestowed on you? I would like to write about those things that touch the souls of people that will inspire, encourage, and enlighten the minds of mankind. 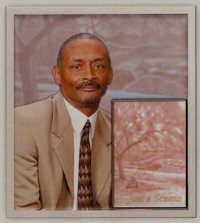 Moreover, I like to write about African America Diaspora because Black History is American History and ours is the greatest story every told! I love to read and learn. Therefore, any author who writes autobiographies or biographies about people who have achieved success, such as the Autobiography of Malcolm X or Dr. Martin Luther King’s biography to include successful entertainers and business titans have always captured my imagination. Books of this nature allow me understand how difficult the road to success is and the struggles these people have had to endure during the process of achieving their goals. More importantly, these stories allow me to witness the fortitude and courage within these people making it possible to reach this illusive ideal called success. I love history and like to think of myself as a student of history. Therefore, the following books have influenced me the most the Bible, “Roots” and “A People’s History of the United States”. If I really had to choose one author as my favorite, it would have to be Alex Haley because of his amazing storytelling style. I also love history and the fact you mention A People’s History of the United States my novel Beads on a String-America's Racially Intertwined Biographical History has been compared to it in a reader's review. I have been writing for many years. My life’s work have always involved writing be it proposals for work, my college career both as a student and professor to include the necessary writing requirements needed for my business endeavors. I did not have an interest in publishing anything mainly because I did not have the time due to work, family, and all of the things that involved living, which consumes our lives. I probably considered myself a writer all of my life but it wasn’t until the inspiration was conceived for “Just a Season” that I decided to become a published author. I wrote the novel because this was a story that needed to be told. Therefore, this story was written by someone greater than myself. I was just the vehicle chosen to share the messages within wonderful story with the world. What are some of your favorite book(s)? My favorite book would have to be “Roots” by Alex Haley. Mr. Haley eloquently presented the most realistic portrayal of the most horrific chapter in our people’s history. He allows us to see and feel what it was like to experience the worst crime the world has ever known from capture through successive generations of slavery. What genre to do like reading the most? I like to read anything that provides knowledge. I am a huge fan of daily newspapers, particularly the editorial sections. Each day I visit the Wall Street Executive Library (http://www.executivelibrary.com), which has links to all of the major daily newspapers in the country and around the world. By doing this I can read, not only, current news articles but read the editorials from newspapers in various regions. This enables me to gain unique insights and different perspectives from writers whose audiences cross a vast demographic section of America. 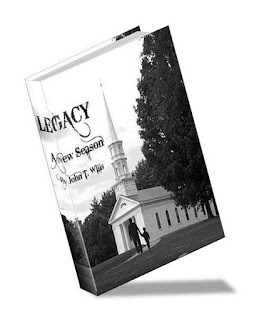 Will you tell us something about your most recent book, Legacy-A New Season? It’s been several years since "Just a Season" and it’s time to move on. Just a Season is a luminous story into the life of a man who, in the midst of pain and loss, journeys back in time to reexamine all the important people, circumstances, and intellectual fervor that contributed to the richness of his life. Generations have come and gone, life is bearable after all, and hope lives in a little boy and in a man who almost lost all hope. I have said the novel Just a Season saved my life and the new project, Legacy is sort of like the mythical Phoenix for me – I live. Since Legacy – A New Season is the sequel to Just a Season. Let me talk about it: Legacy is a luminous story Legacy – A New Season. It is the sequel and the continuation of "Just a Season" and a stand-alone story rich in history on a subject rarely explained to children of this generation concerning the African American struggle. Season" will take you on an awe inspiring journey through the African American Diaspora, as told by a loving grandfather to his grandson in the oral African tradition at a time when America changed forever. That is all I am giving away for now but you can go to John T. Wills ( http://johntwills.com ) for more information about me and all of my work. John both books sound really exciting and I can't wait to read them. I know you're busy so I'll cut this chat short. For all of you out there visit Wade-In Publishing where John has also been featured. Thanks again for coming John. Lena Sledge is a native of Detroit, Michigan and currently calls Alabama home. 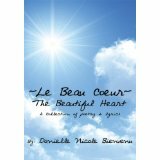 Her work first appeared in several anthologies of poetry called The Poetic Lounge and She Speaks. Her first book, a collection of short stories titled, If I Had My Way, has been praised as deliciously splendid and touching. 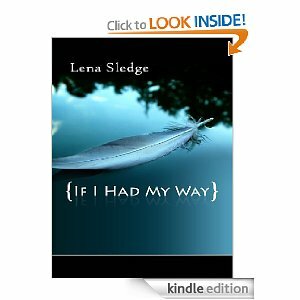 Lena Sledge currently shares writing advice and tips for aspiring writers on her blog, Lena Sledge's Blog. She also shares marketing information for writers and authors on how to market their books through social media. 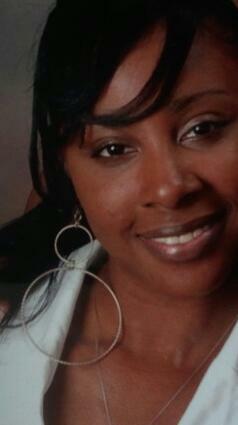 She gives several workshops throughout the year and jjjj available for speaking engagements and book club discussions. She is also the publicity chair for the Alabama Writers' Conclave, one of the oldest writers' organizations in continuous existence in the United States. You can stay informed about the author through her website at www.lenasledge.com or through her blog at www.lenasledgeblog.com . Hi, Lena thanks for coming. Okay, we have an anxious audience so let's get to it. When did you start writing, and what did you write about? I started writing in elementary school. I first began writing in school essay competitions. It was a rewarding experience for me as a child. What is the difference in your perception between now and the time you started writing? Writing the book is easy, it what you must do afterwards that’s hard. Such as marketing, networking, did I say marketing? You have to keep pushing your material even when you don’t feel like it or you feel like you have exhausted all avenues. I wrote If I Had My Way some time ago. It’s a collection of short stories. I did add a few just before publication. Over the years I have wrote nearly fifty short stories. But after awhile, there was this feeling that only I knew they existed, and I knew it was time someone else had a chance to read them or enjoy them. If I Had My Way, contains 10 short stories in all; each with a theme of what would the character do if they had their way. 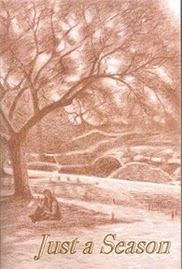 My first novel, Waiting on Heaven, will be published this summer in 2012. 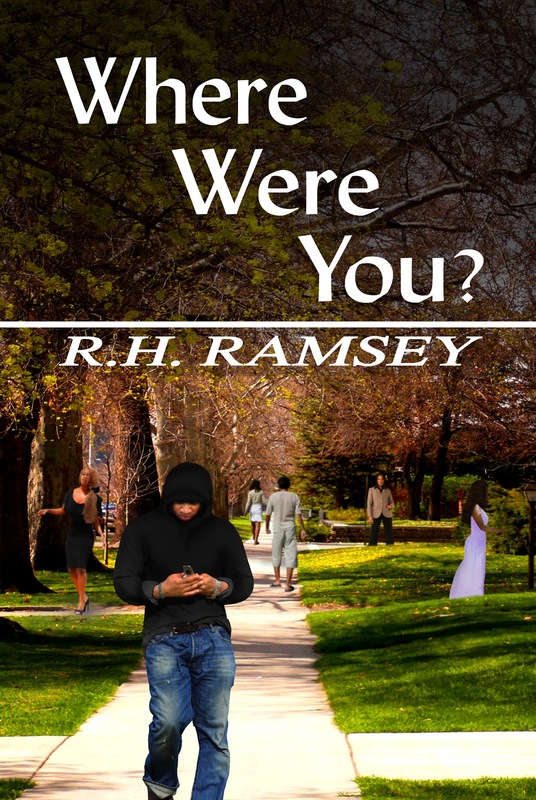 I have read and really enjoyed If I Had My Way and share my review here. I’m currently finishing up my second novel titled, Breaking Willow. It’s a combination of adult mainstream and YA. I say adult mainstream because it has some adult situations discussed. It started out as a short story, but an agent said he liked it but asked if I would turn it into a novel and then send it back. So that’s what I’m currently working on. I’m having a hard time marketing my books. What are your techniques and do you feel they are working? Marketing is hard. The most efficient ways of marketing is networking. 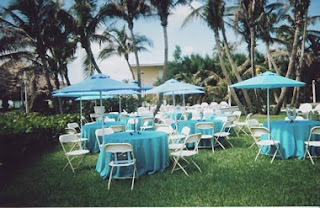 Networking through acts of blogging and attending conferences. Join online writing groups such as Book Bloggers on Ning or author groups on Facebook. The best way to market is to go full steam ahead. 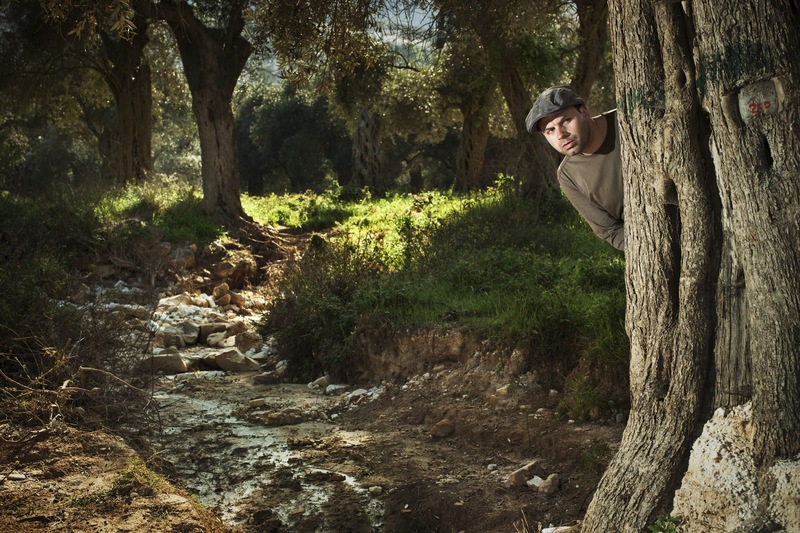 I think some authors try to avoid being pushy or they are hesitant to discuss themselves because most writers are introverts or keep to themselves. So to repeatedly discuss their achievements or their passion seem conceited. But in the end it’s about developing a fan base and getting your name out there. No one will never know who you are if you don’t tell them. I would tell every author to start a blog, be consistent in blogging and develop some relationships through blogging. 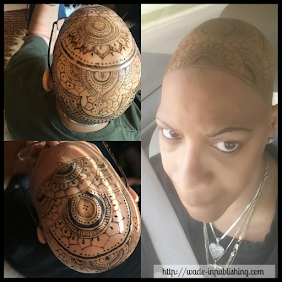 I started my blog, Lena Sledge’s Blog, over a year ago and it’s been vital in getting the word out about my projects. As a matter of fact I subscribe to your blog. I love the interviews you have with some very outstanding authors. I dream about them or when I have a still moment in a bath or a long drive, I’ll imagine what they are doing or what they would do in a certain situation. They sort of remind me of apparitions, they linger but they never go away. I like that analogy. One of other of my characters are always standing in front of me begging for attention or whispering in my ears. Great question. In my book, Breaking Willow, I think Willow (a fifteen year old orphan) would be pissed off at the situation she is initially placed in, but I think in the end she would come to recognize that every situation she had encounter only made her stronger and wiser. What hobby or activity do you enjoy other than writing? I enjoy, blogging, reading, coaching youth girls’ basketball and long walks with my husband. I’m also a plus size model with Blaq Pearl Model Management, so I will be traveling, while trying to balance my modeling with my writing career. It’s been a great year. Oh, yes I saw on FB how great your team has done this year, congratulations. Wow, what an awesome second career. It could turn out to be a great way to find inspiration for your writings. Well Lena, thank you so much for coming over and having a chat with me. I really enjoyed it. I’ll be traveling the web to your haunts and spreading word about our little visit. Best of luck with your books. Welcome, I see you found the chat with our previous author very interesting and you returned. 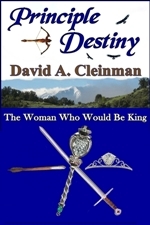 Thanks for coming back.Today's interview is with Indie author, David Cleinman. David has two published novels, Toys In The Attic and Principle Destiny, and Mind Eater, a Vampire Short. Okay, let's get started. David is already In the Chair. Hi David, thanks for coming. One of the first questions I always like to ask is, when did you start writing, and what did you write about? I was writing in first grade, just as soon as I learned to read. Unlike a lot of schooling nowadays, writing and reading were fully integrated. As we learned to read, we learned to write. I loved to read, and I enjoyed writing just as much. At thirteen, when I read the Lord Of The Rings, I began a full novel series, with two languages developed mostly from the romance languages, with some German thrown in as a family tribute. My early years of writing saw a lot of fantasy and sci fi. Now I am more into thrillers, political and psychological, and literary fiction. I just think I have so much more life experience and my writing skills are vastly improved, something that comes with time and practice, of course. In terms of the world, things are much more tense and imbalanced, unfortunately. The upside to that is it creates wonderful and unlimited scenarios for writers. Toys In The Attic was inspired by the fact that I have personally known young girls who suffered this very situation, and I needed to share it. 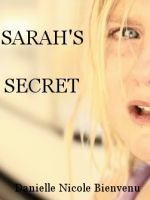 Sara, the main character is raped and impregnated by her own father. She keeps her baby because she feels it’s wrong to punish it by aborting it. It is her personal choice that makes life difficult for her in the beginning. As she matures, however, and recovers, she realizes it is the best decision she could have possibly made. I made very few narrative decisions, really, I just told a story that has been experienced by real women in real situations. The story is one of survival, and triumph. To get to the brightest, sometimes we need to face the dark head on. 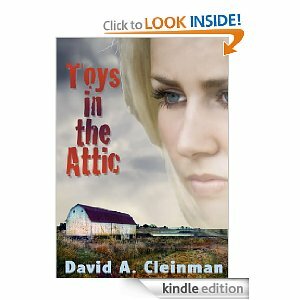 I've read Toys in the Attic and I share my review on my review site. Principle Destiny is about a woman’s strength and courage and her relentless determination. I fully expect readers, especially women, to be inspired by Princess Alyssa, but it is historical in nature, and not allegorical. Alyssa’s father, King Jessett, is more tyrant than patriarch, and Alyssa’s singular goal is to return freedom and peace to her kingdom, and to the surrounding kingdoms as well. If this means she dies while racing her brother for eight months over a thousand miles of dangerous terrain, she is ready to make that sacrifice. But she intends to win. 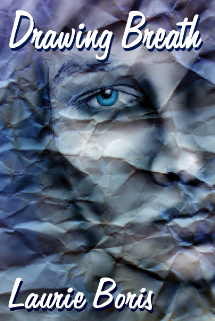 I am continuing my MindEater series, the first issue of which is available free on Smashwords. I am writing a YA fantasy series, and the first book will be finished as a rough draft by the time this interview goes live. As with all my writing I do it because I love it. My characters speak to me and I listen. It always depends on what I’m writing as to how I write it, but basically I start with characters and tell their story. As it unfolds I create plot outlines and develop storylines. I do this more to keep me organized and on target. So it kind of works like this: characters and their needs, desires, and goals… setting and scene… then plot (the least important aspect to me, even though they tend to always come together very well. My stories tend to be dialogue rich, either between characters, or mental dialogue when a character is alone. Well, to be honest, I’m just getting started. 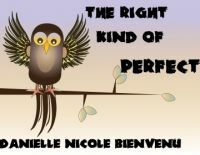 I write reviews, hold lots of interviews on my blog, and enjoy being guests for other writers. I trade guest posts, and involve myself in several forums and Facebook groups. I would say things are speeding up a little bit. I am studying promotion and expect to be a pro about six months from now (hopefully sooner). I let my characters tell their stories, and I try to keep myself out of their lives as much as possible. I don’t actually talk to them, as some authors do. That’s not a technique I expect to employ anytime soon. Lol, I understand. We authors all have our way of doing things. If I were to interview one or two of the characters from your novel what do you thing he/she would say about the role you put him/her in? Do you think they would like the book? I guess it depends on the character. My main character in Toys In The Attic might be very upset with me, at first, however as her life develops and she begins to thrive, she might end up grateful. 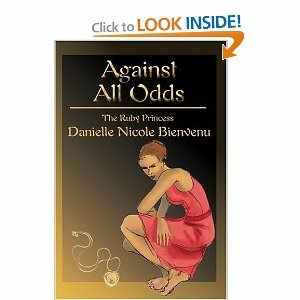 Princess Alyssa from Principle Destiny would be more than happy, I think, she would love the book. It’s all about her. The antagonists would probably all enjoy the books. They just have twisted ideas about life in many cases, and so would enjoy the notoriety. 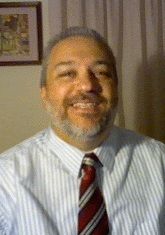 For more information about David, please visit his writing blog. You can also find David on Facebook and Amazon.com. Hello everyone and thank you for stopping by. Today we will be enjoying the company and chatting with:Sabrina Sumsion. 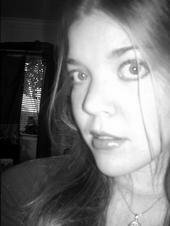 Sabrina Sumsion is a former literary publicist and voracious reader. She enjoys creating writing, jewelry, lotions and tasty food. 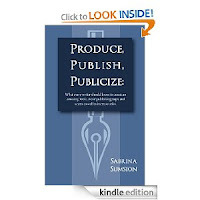 Sabrina published Produce, Publish, Publicize: What every writer needs to know to create an amazing product, avoid publishing traps and scams as well as increase sales in 2010 to assist writers in making good choices in publishing. She presents to writers groups across the nation teaching topics such as branding, building a platform, developing hooks, publicity and marketing. www.sabrinasumsion.com She can also be found on Facebook. Thanks for stopping by Sabrina. You are my first Indie author interview and I am so happy to have you here. Kick off your shoes and get comfortable. Feel free to answer the questions any way you choose. Okay, I shared with everyone your ‘business’ bio, can you tell us what you really believe about yourself? 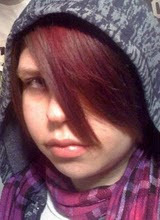 I’m a ninja disguised as a homeschooling mom, former literary publicist, craft-aholic and all around reading diva. Really, I kick down doors –no, wait, that was my husband when I locked us out of the house . . . Well, I engage in combat on a regular basis –online when I play MMORPGs with my children . . . OK, maybe I’m not a real ninja but my husband says I stole his heart. Does that count? No? Shoot. Well, I love reading and I love writing. I think imagination is the biggest advantage a child can get in life and I try to allow my children many opportunities to expand theirs every day. I love teaching authors how to avoid publishing traps and scams as well as how to market themselves and their works. There is nothing better in life than giving someone information that helps them become successful. I also take a few hours each week and create jewelry, make lotions or paint something. I have little creation stations scattered through the house. My daughter gets into it a lot and scatters things which drives my husband crazy but remember how I mentioned that he says I stole his heart? Yeah. I’m not giving it back. He’s stuck with me forever. Bwah ha ha ha! Wow, I see we have a few things in common. Not the ninja part, but the home-schooling and love of reading and writing. When did you start writing, and what did you write about? I started writing about 5 years ago. I worked as a literary publicist and met many authors who were scammed out of thousands of dollars by unscrupulous publishing service providers. The gut wrenching stories of people losing their homes in pursuit of a dream broke my heart so I wrote a white paper to help authors navigate the traps and scams of the industry. That white paper evolved into Produce, Publish, Publicize, a guide for writing, publishing and marketing books. Yes, I grabbed a sample for my Droid. 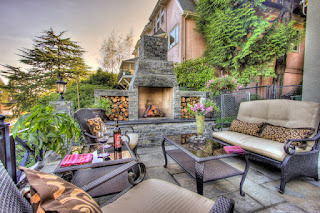 You share a valuable amount of information and have received a few outstanding reviews. After writing and publishing Produce,Publish,Publicize, what is the difference in your perception between now and the time you started writing? When I started writing, eBooks were still PDFs the authors emailed to you or you downloaded off a website. Back then, authors and publishers still had to front thousands of dollars to print books. This was also during the upsurge in the print on demand publishing model. Before I felt eBooks had a limited market. Now that Kindle broke onto the scene, eBooks have flooded the market and opened many opportunities that didn’t exist for authors. I’m excited to see where the industry develops next. I mentioned Produce, Publish, Publicize already. 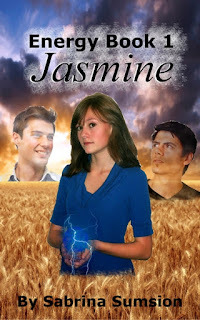 My most recent release, Jasmine: Energy Book 1, is a story line that developed over time and eventually, I sat down and wrote it. It was cathartic for me to lose myself in my imagination and create. I edited for many months and finally threw my hands in the air and declared it done. Luckily, in eVersion, done doesn’t really mean done. I can go back and change a few things if I want to. I LOVE eBooks! The ability to go in and change things is one of the reasons I love them too. So, what are you writing about now and why are you writing this book? I have a few plot lines in the process. Right now I’m working on Book 2 in the Energy Series. (Not sure what the title will be, yet.) In the next book, Jasmine is excited that Yumi’s friends are tolerating her but Honorio starts to cause problems between her and Mark, her love interest. She survives an explosion and discovers what the aliens were plotting. That’s about 75% done but it’s on hold a bit as I market book 1. I also have a dystopian novel and a urban fantasy that I add to every once in a while when I’m in the right mood. I also have several other plots that are only outlines on random pieces of paper in my writing file. So, I don’t have a shortage of ideas, merely a shortage of time. When I write, bits and pieces pop into my head. I’ll see a scene clearly and I’ll know about where it belongs in the story. The hard part is creating bridges between my plot points. I guess it’s like a puzzle that I fill in randomly as I go. Marketing is always a challenge. Right now I’m making as many connections as possible and approaching people for interviews like you have graciously hosted as well as reviews. When I’m satisfied with the amount of blog/forum activity, I’ll shift the majority of my focus to online radio stations. On blog talk radio, hosts usually archive their shows with live links to your website and book imbedded. The coverage can be amazing! When I released Produce, Publish, Publicize, it helped immensely. After that, I’ll work on broadcast and print media. This may sound a little silly, but I have a habit of talking to and interviewing the people in my books. How do you communicate with your characters? They tend to shout at me for trying to make them do weird things. They’ve been known to throw things at me from time to time. All in all, we converse in my head (I try not to move my lips) which is why my husband hasn’t had me committed yet. 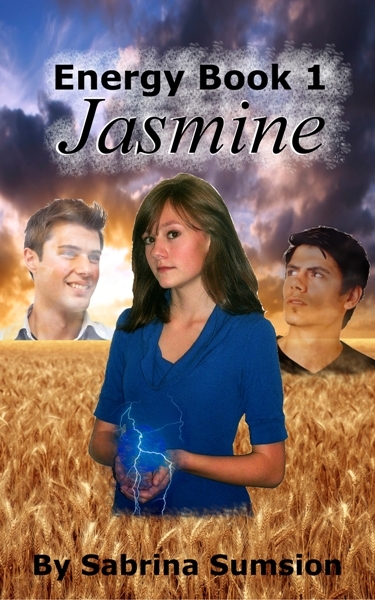 I’ve read your novel ‘Energy Book 1 Jasmine and really enjoyed it. Check out my review . If I were to interview one or two of the characters from your novel what do you thing he/she would say about the role you put him/her in? Do you think they would like the book? Honorio would be annoyed with me for exposing his group to the public. He’s very concerned with the government discovering his group. Jasmine would have a panic attack from being the center of attention for half of the book. She has debilitating stage fright. Crud! She read over my shoulder. I’m going to run to the kitchen and get her a bag to breathe in. Way too funny, I think Jasmine would really appreciate that. As our time has drawn to an end I just want to say thank you for taking time out of your day to come and share your life with us. I hope the audience will go out and purchase your book. To win a free copy, please leave a comment. For an extra chance at winning post a link to the interview on a social media outlet. If the winner linked the article somewhere in addition to commenting, Ms. Sumsion is offering the prize of one of her homemade lotion bars and will ship anywhere in the world. So, get to commenting and sharing! Thank you for inviting me for a chat! I have not read PPP yet but having learned all these wonderful things about your background, you can bet I'll be cracking it open soon. As the editor of Jasmine, I can attest that the story is very cute at the beginning and then turns into one incredible mind trip at the end. I believe this author has a hidden dragon waiting to engulf us in flames of passion... I don't know whether to be enticed or afraid. Thank you for the great interview and opportunity. It enjoyed it. You're welcome. Feel free to visit again. Maybe one of my characters can have a chat with one of yours. I too found this fascinating and am adding this to my tbr pile. I love when an author is so fascinating- thank you!